The following is a list of the men from Athboy and men with Athboy connections, who are known to have died in the First World War. REILLY, PATRICK: Private 25732, 7th Battalion, Royal Irish Regiment and formerly 2409 Southern Ireland Horse. Date of death: Mar 21st 1918. Killed in action. Age 25. Commemorated on Poziers Memorial, Panel 30 and 31. Patrick Reilly was born Jan 26th 1895 at Rathvale, Athboy. His father was Edward Reilly, formerly from Balrath, Athboy, and his mother was Mary Reilly (nee Farrelly), formerly from Addenstown, between Athboy and Delvin. At the time of their marriage in 1882, Edward was employed as a Groom (probably at Walkers of Balrath) before moving to Gerald Walker’s new training stables at Rathvale where he proved to be a very talented jockey. On May 15th 1897, Edward Reilly was killed at Mullacurry Races, near Ardee. He was riding a horse belonging to Gerald Walker which fell during a steeplechase race. He left a widow and 9 children. His widow, Mary, remarried however, a jockey named William Wynne, in Dunderry on Feb 13th 1898. The combined Reilly/Wynne family – Mary, William and 9 children – emigrated to America. They sailed on board the Furnessia from Londonderry to New York, passing through Ellis Island in April 1898, bound for Philadelphia. However, their time in America was short. In June 1899 the family returned to Ireland, via Liverpool, and lived with Mary’s mother, Elizabeth Farrelly, at Addenstown. The 1911 census shows the 15 year old Patrick is employed as an agricultural labourer. At the outbreak of WW1, Patrick enlisted, firstly in the Southern Irish Horse and later transferred to the 7th Battalion, Royal Irish Regiment. He was killed in action on Mar 21st 1918. 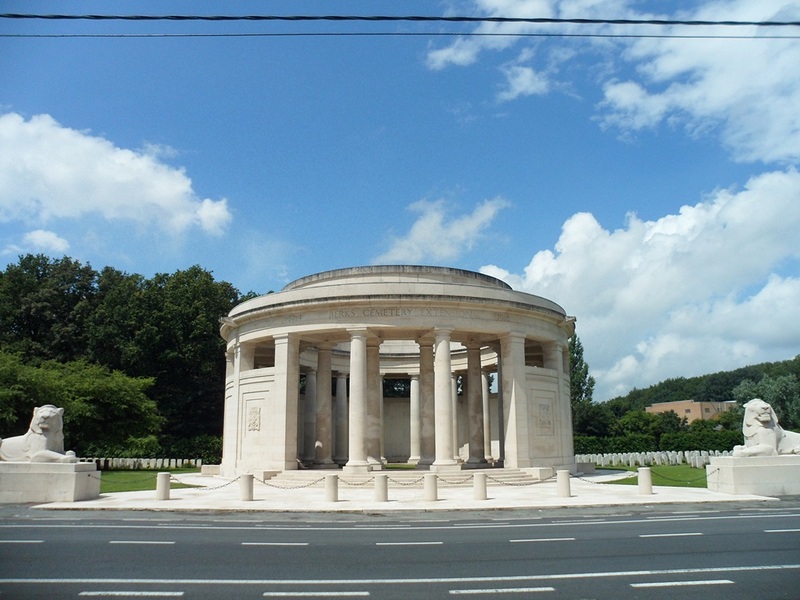 As his body was not recovered from the battlefield, his name is commemorated on the Pozieres Memorial. GLYNN, JOHN: Rank: Corporal. Regiment: 2nd Battalion, Leinster Regiment. Service Nr: 397. Date of death: Aug 22nd, 1916. Died of wounds. 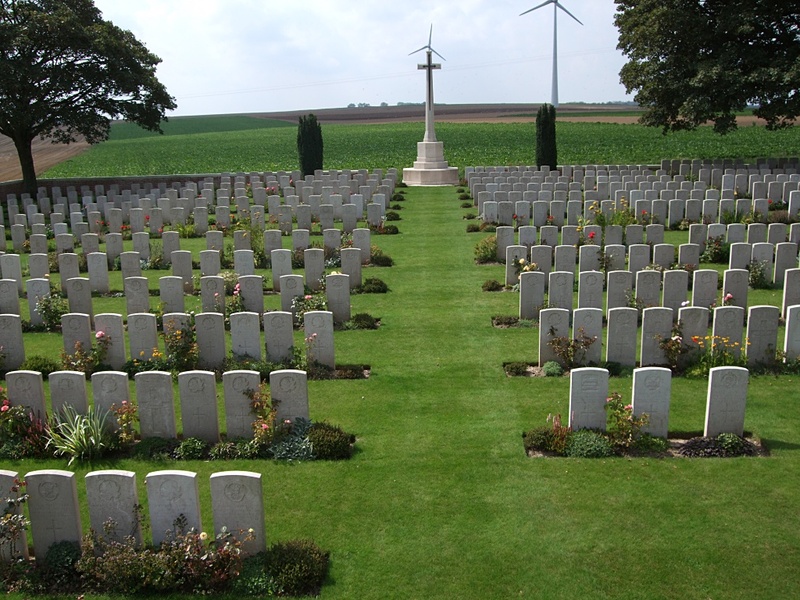 Cemetery: La Neuville British Cemetery, Corbie, France. John Glynn was born in Athboy on Jul 19th, 1892. His parents, Robert Glynn and Mary Jane Grey, were married in the Church of Ireland, Oldcastle, in 1887. Robert was employed in Athboy as a coachman by James Edward Penrose, the Agent of Lord Darnley, up until 1895. In that year, Penrose moved to Lismore, Co Waterford, to take up a new position as Agent for the Duke of Devonshire on his picturesque estate centred on Lismore Castle, a position he held until 1921. The Glynn family (incl their four children all born in Athboy) moved to Lismore with James E Penrose. The 1901 census shows Robert employed as a coachman while, the 1911 census shows that he was a chauffeur. The young John was employed as a grocer’s assistant in Cappoquin. 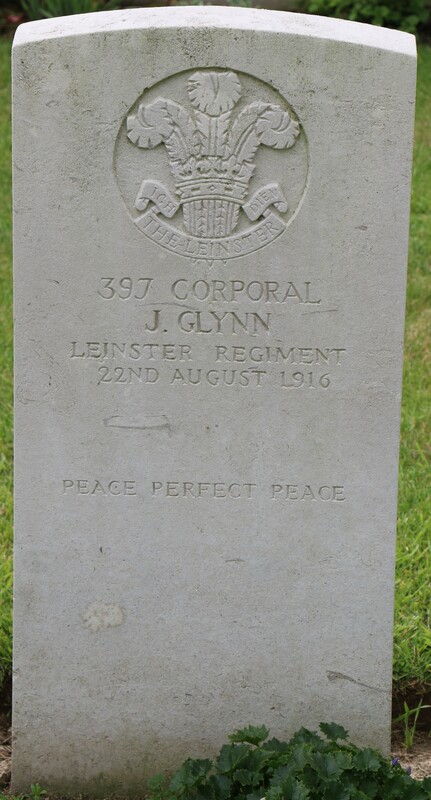 John Glynn and his younger brother, Arthur, both joined the Leinster Regiment at the same time. John’s service number was 397 while Arthur’s service number was 398. John died from wounds received in action, on Aug 22nd 1916. 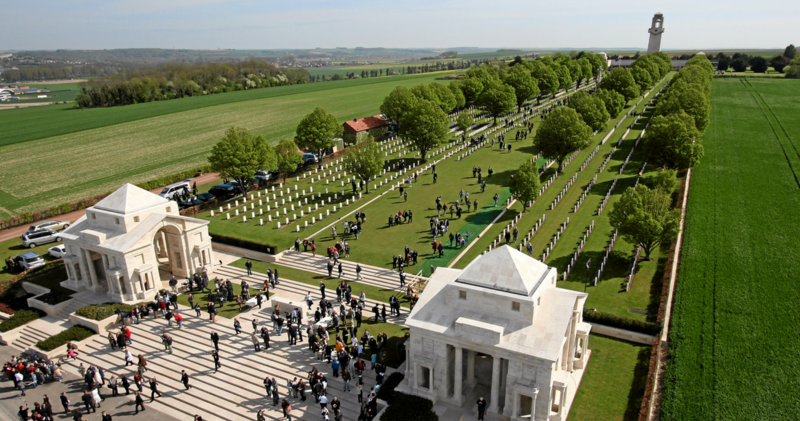 He was buried in La Neuville British Cemetery, Corbie, in the Picardy Region of France. Arthur survived the war. CUNNIFFE, JOHN: Rank: Private. Regiment: Royal Munster Fusiliers. Service Nr: 18291. Formerly Royal Dublin Fusiliers. Service Nr: 25213. Date of death: April 24th 1918. Died of wounds and pneumonia. John Cunniffe was born on Jan 20th 1887 at Clifton, Athboy, being one of twelve children of Michael and Elizabeth Cunniffe (nee Nash). His father was employed as a land steward on the estate of Lord Darnley at Clifton. By 1911 Michael Cunniffe had moved to Cloughbrack, Ballivor and the young John was working as a “clerk”. John joined the Royal Dublin Fusiliers at the start of the war but was later transferred to the Royal Munster Fusiliers. He died on Apr 24th 1918, from wounds received, at St. Omer, France. 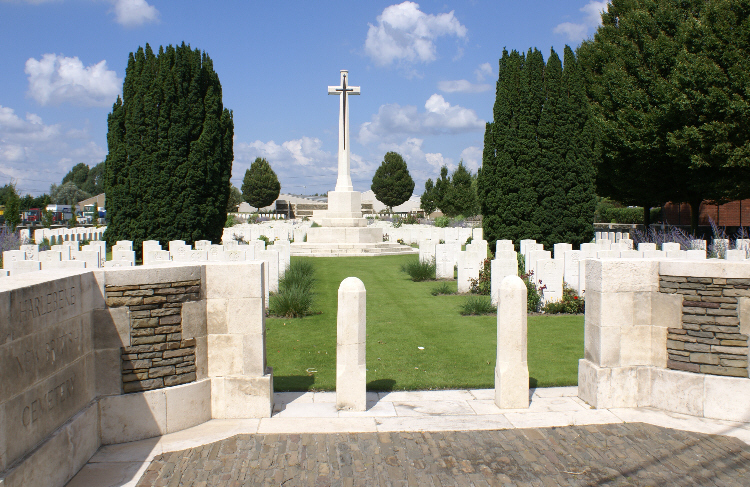 John Cunniffe was buried at Longuenesse (St Omer) Souvenir Cemetery. His name is commemorated on the headstone of the family plot in St James Church of Ireland Graveyard at Athboy. MURPHY, DENIS: Private, 5326, Leinster Battalion, 7th Regiment. Date of death: Sept 4th 1916. 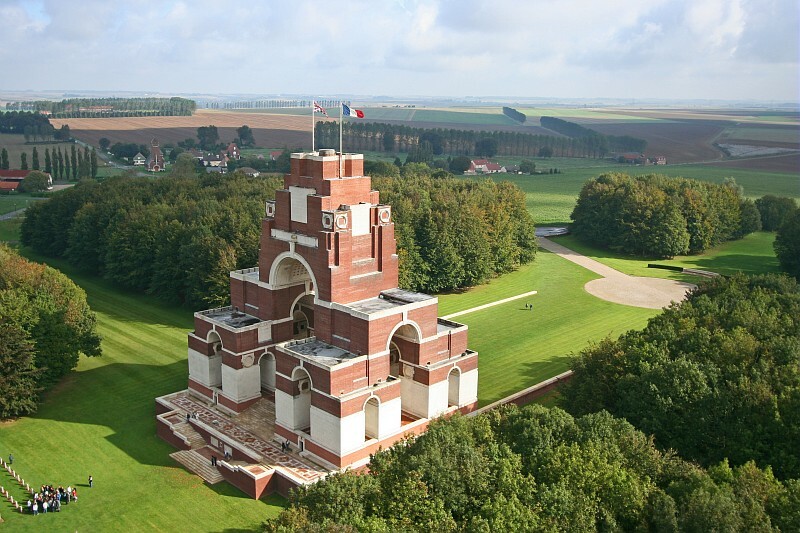 Commemorated on the Thiepval Memorial, The Somme Battlefields. Pier and Face 16C. Military records show that Denis Murphy was born and lived in Athboy. There are no Civil Registration birth records or Church records to verify this. The 1901 and 1911 Census records don’t record him as living in Athboy either. Pte Denis Murphy was killed in action on Sept 4th 1916. The 7th Battalion of the Leinster Regiment was involved in the Battle of Guillemont. The regimental war diaries record that “The battalion held on to its position with comparative ease, but great difficulty was experienced in the evacuation of the wounded owing to scarcity of stretchers”. 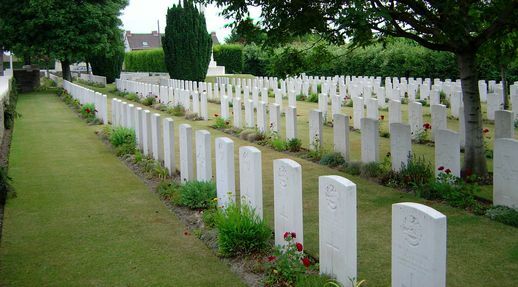 10 officers and 219 other ranks of the 7th Battalion were killed or wounded in the Battle of Guillemont. Pte Dennis Murphy’s body was not recovered from the battlefield, therefore his name is commemorated on the Thiepval Memorial. George Rochfort Grey was born in Athboy on Sept 21st 1891. His father, George Grey, was the Station Master at Athboy Railway Station. His mother, Mary Leslie (nee Reid) was from Cavan. George and Mary Leslie married in Cavan in 1883. While living in Athboy their children attended the Earl of Darnley National School at the Fair Green. The Grey family moved to Ballinasloe in 1895 when George was promoted to the position of Station Master in Ballinasloe. In 1911 George Rochfort Grey was working as a railway porter in Ballinasloe. His father had died 2 years previously. He subsequently worked as a despatch clerk for Messrs. Eason & Sons, Abbey Street, Dublin, before joining the Southern Irish Horse on Aug 4th 1914. He served with the Mediterranean Expeditionary Force in Gallipoli from July 1915, being employed in Military Mounted Police duty. He was subsequently sent to Egypt. He was transferred to the Queen’s Own Dorsetshire Yeomanry in July 1918 and took part in the Palastine campaign. He died at No 3 East Anglian Field Ambulance, Haifa, on Oct 11th 1918, of pneumonia, following influenza, contracted during the advance on Damascus. His Commanding Officer wrote…”He was a first rate man in the troop, always willing, and got on well with the other men. During that very strenuous time when we advanced from Mejdel through and behind the Turkish army, he was keen and willing to do anything that came his way. The work was extremely strenuous, and, in consequence, many of our best men, including your son, who carried on until Damascus, had used up all their reserve strength and were unable to recover when they caught one of the many illnesses that were prevalent in that town”. 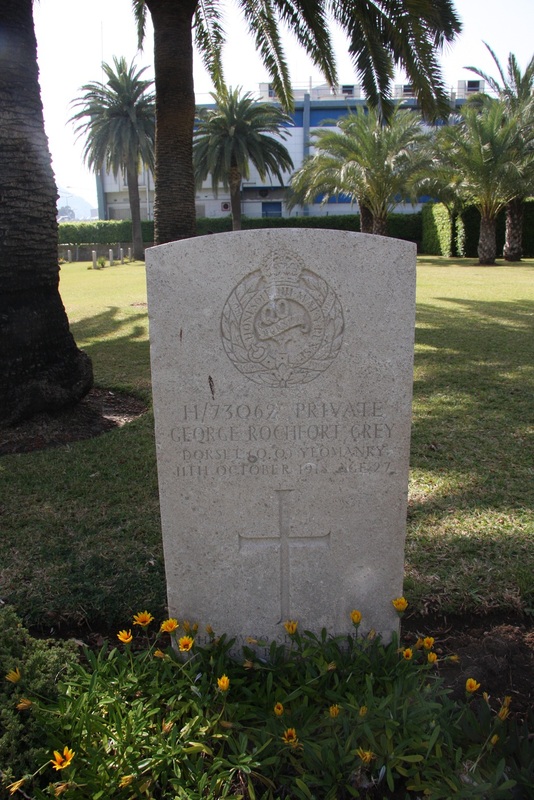 George Rochfort Grey was buried at Haifa Military Cemetery (now in Israel). He was 27 years old. COLEMAN, THOMAS: Private 9834, Leinster Regiment, D Coy, 2nd Battalion. Date of death: Oct 20th 1914, aged 20. Killed in action. 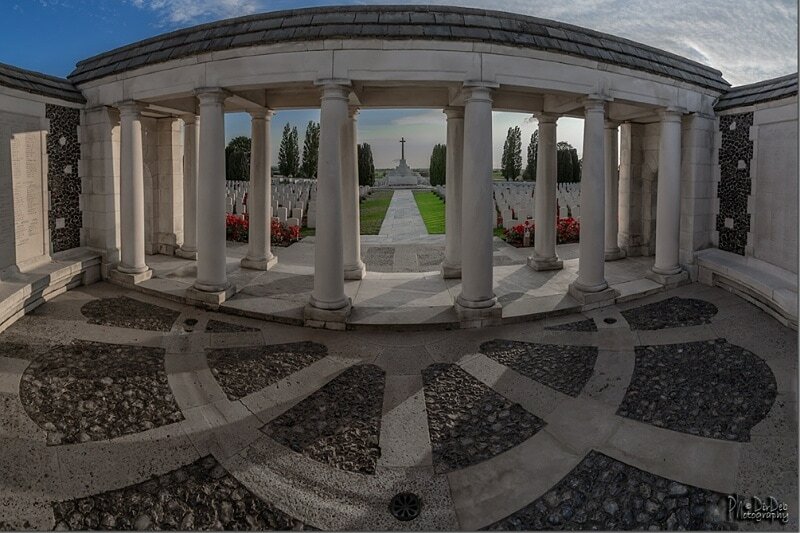 Commemorated on the Ploegsteert Memorial in Belgium. Thomas Coleman was born in Dublin on March 13th 1893. Following the death of his father, Joseph, in 1895, his mother, Mary, was appointed as District Nurse for the Athboy area. The Coleman family lived at Upper Bridge Street, Athboy. The children, including Thomas, attended St. James National School in Athboy. Thomas enlisted in the Leinster Regiment at the outbreak of WW1. He was killed in action just a few months later, on Oct 20th 1914. 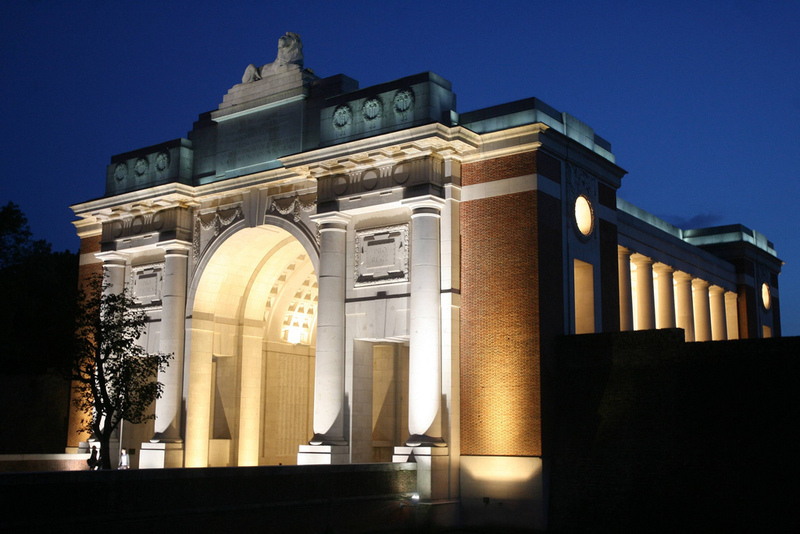 As his body was not recovered from the battlefield, his name is commemorated on the Ploegsteert Memorial in Belgium. LYNCH, PATRICK: Private 4458, Irish Guards, 1st Battalion. Date of death: Nov 6th 1914. Killed in action near Ypres, Belgium. Commemorated on the Menin Gate Memorial, Ypres (Panel 11). Patrick Lynch was born in Mitchelstown, Athboy, in 1893. His father, Mark Lynch, (farmer) and Elizabeth (nee Ward, a housekeeper from Wardstown) were married in St James RC Church, Athboy, on Nov 9th 1890. Mark Lynch died in 1895, leaving Eliza as a widow with four small children. The Lynch family home was in Mitchelstown, very close to the railway bridge on the Rathcarne road. By 1911, the young Thomas was a Groom/labourer, probably in the racing stables of Gerard Lynes Walker in Rathvale, which was just a few hundred yards from the Lynch family home. 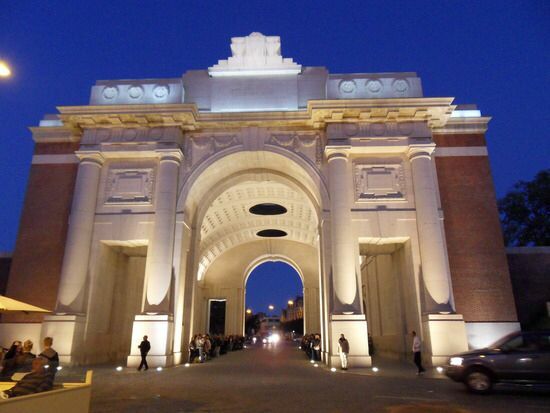 As Patrick’s body was not recovered from the battlefield, his name is commemorated on the Menin Gate Memorial at Ypres. McCLOREY, OWEN: Private 18172, 7th Battalion, Royal Irish Regiment. Formerly Private 5195, Leinster Regiment. Date of death: Mar 21st 1918. Killed in action. 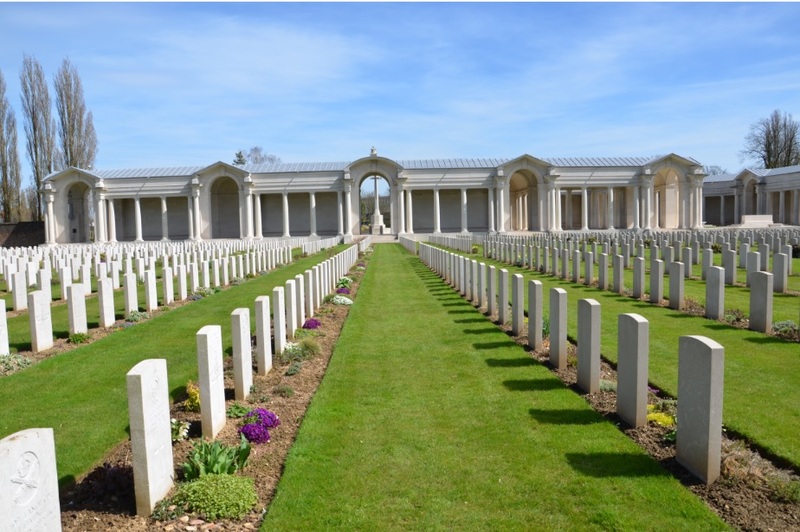 Buried in Villers-Bretonneaux Military Cemetery. Plot: VI.B.5. Owen McClorey was born in County Down on March 3rd 1884. His father, John, was a baker and his mother, Anne (nee Cunningham) was a farmer’s daughter. The family lived for a while in Dunshaughlin before taking up residence at Townsparks, Athboy. The 1911 census of Ireland shows that Owen is working as a groom/labourer. 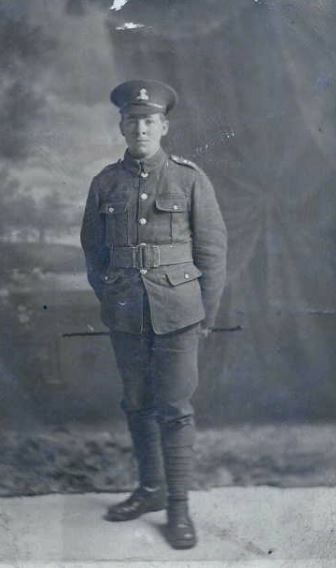 At the outbreak of WW1, Owen initially joined the Leinster Regiment as Private 5159, but later transferred to the Royal Irish Regiment, 7th Battalion. NOTE: Private Owen McClorey and Private Patrick Reilly, both Athboy men and both soldiers of the Royal Irish Regiment, were killed in action in the same battle and on the same day. Although both men initially enlisted in different regiments, they transferred later to the R.I.R. Whether this was by choice or just pure coincidence is not known. Patrick Connolly was born at Athboy on July 10th 1890. His father, Joseph Connolly, is recorded as a Groom at Ballyboy, probably employed in the stables of Bernard Wauchop Parr at Ballyboy, while is mother is Anne Connolly (nee McGovern or Govern). The Connolly family future was thrown into chaos on Sept 1st 1902 when Joseph Connolly died at the County Infirmary, Navan, from effects of a perinephritic absess. By 1911, the widowed Anne, along with her youngest children, are living in St. Helens, Lancashire. Anne is employed as a housekeeper while the 20-year-old Patrick is employed as a “Coal miner hewer”. At the start of WW1, Patrick enlisted in the Lancashire Fusiliers and after training he was shipped to Gallipoli. The regimental war diary of the Lancashires record that on June 13th, Privates James and Connolly were hit by a ricochet while digging a sap trench. 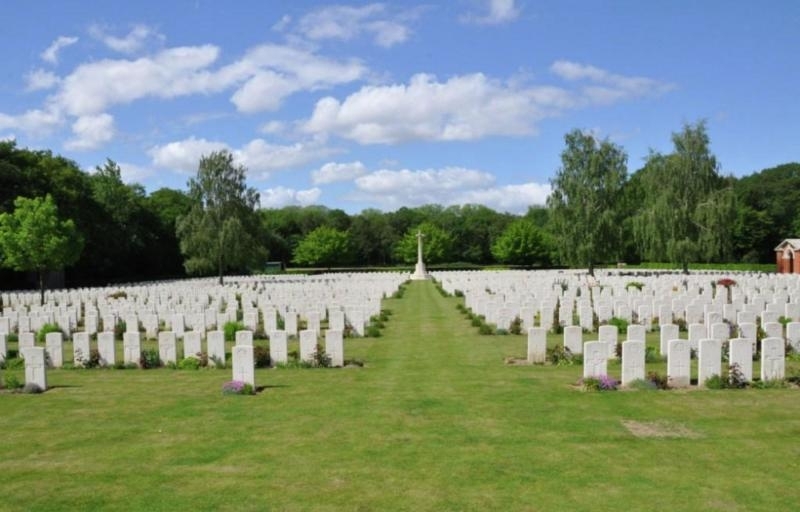 Pte Patrick Connolly died the following day. 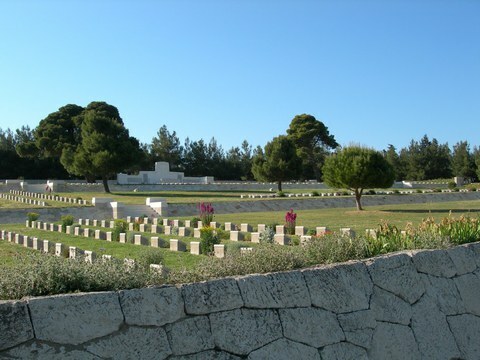 He is buried in Twelve Tree Copse Cemetery on the Gallipoli Peninsula. CRUMMEY, JAMES: Private 16199, 8th Battalion, Royal Dublin Fusiliers. Date of death: Apr 6th 1916. Killed in action. Commemorated on the Loos Memorial. Panel 127-129. James Crummey was born in Athboy on Aug 18th 1897. His father, also James, and his mother, Annie (nee Lee) were both from Connor Street (sic) and were married in Athboy on Oct 2nd 1896. The 1911 census of Ireland records that James Snr. is a labourer while James Jnr. is still attending school (St James Boys National School in Athboy). James Crummey enlisted in the Royal Dublin Fusiliers, presumably immediately after his 18th birthday which would have been on Aug 18th 1915. He is recorded as entering the theatre of war in France on Dec 12th 1915. He was killed in action just over three months later, on April 6th 1916. He was one of 15 killed and 13 wounded from the RDF at the battle of Hulluch on that day. James was just eighteen years and seven months old. 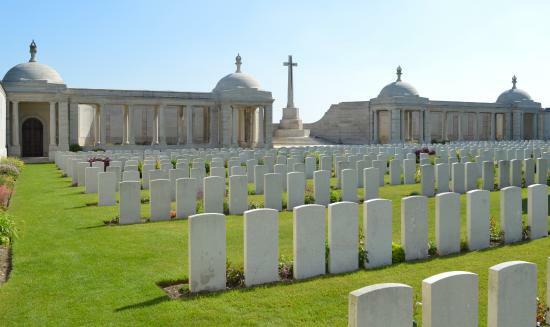 As his body was not recovered from the battlefield he is commemorated on the Loos Memorial near Lens and Bethune. PALMER, ARTHUR: Private 32562, 14th Battalion, Royal Warwickshire Regiment. Formerly 7761, 7th Dragoon Guards and 9021, 17th Lancers. Killed in action. Date of death: Oct 26th 1917. Age: 28. 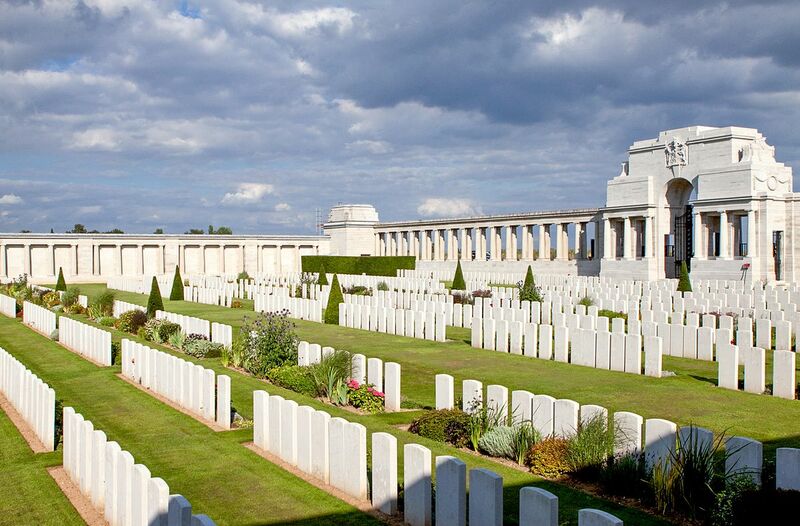 As his body was not recovered from the battlefield he is commemorated on the Tyne Cot Memorial, Flanders. While Arthur Palmer himself did not have any Athboy roots, he is commemorated here because of his connection by marriage to a very old and respected Athboy family. He was born in Hackney, London. Arthur initially joined the 7th Dragoon Guards and then transferred to the 17th Lancers. He then re-joined the Dragoons before finally being posted to the Royal Warwickshire Regiment. On Oct 25th 1916 Arthur married Elizabeth Ward at Kilmacud, Dublin. The marriage record shows that Arthur was a “Soldier, Curragh Camp” while Elizabeth was a Parlourmaid at Thornhill, Stillorgan. Elizabeth was the daughter of Christopher Ward, the well-known pump-maker, of Bridge Street, Athboy. Shortly after their wedding, Arthur was posted to the French front along with his regiment. He was killed in action one year and one day after his wedding. His name is commemorated on the Tyne Cot Memorial. 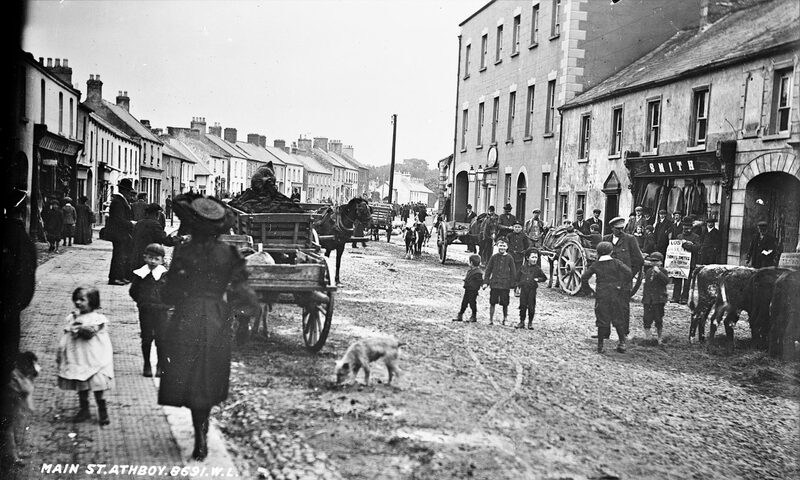 Elizabeth returned to Athboy where she lived out the rest of her life at the family home in Bridge Street. She died Feb 26th 1953 aged 67. Maurice Fitzgerald Bayly was born in Moylough, Co Galway on Feb 19th 1889. His father, Maurice Spring Rice Bayly, (a land agent) and his mother, Jeanie Theodora (nee Hayes) were from Avoca, Wicklow, and married in Dublin in 1881. The Baylys had one daughter, Dorothy Mary, who married John Espenette Knott of Lisclogher, Athboy, in 1915. It was at Lisclogher that the widowed Jeanie Theodora Bayly lived during WW1, her husband, Maurice Spring Rice Bayly having died in England in 1900. Maurice Fitzgerald Bayly emigrated to Canada in 1910. He passed through Ellis Island, New York, on April 4th 1910, bound for Alberta. He enlisted as Sapper 507701 in the 1st Battalion of the Canadian Engineers in Dec 1916, giving Lisclogher, Athboy, as the address of his next of kin. On Jul 30th 1918 his military record shows that he was “wounded dangerously” in a gas attack. He died on Aug 6th 1918 and is buried in Ligny-St Flochel Military Cemetery, Averdoingt, Belgium. His headstone bears the inscription “He is not dead, but sleepeth”. [Note: John Espenette Knott lived at Lisclogher, Athboy, since the early 1900s and farmed over 1300 acres there. He joined the Royal Inniskilling Fusiliers at the outbreak of WW1 and rose through the ranks to become a Lieutenant Colonel. He was awarded a CMG and DSO. In May 1919 the London Gazette reported that he relinquished his commission on account of ill-health from wounds received. He left Lisclogher in 1922]. BYRNE-CLARKE, WILLIAM: Sergeant 21003, 6th Inniskilling Dragoons, attached to Loyal North Lancs Regiment. Killed in action Jun 28th 1916. 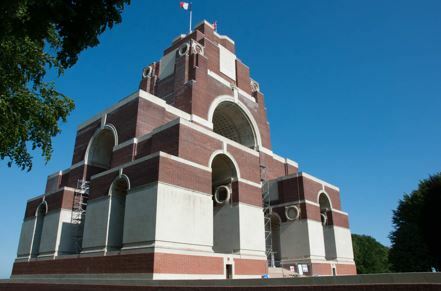 Commemorated Thiepval Memorial, Peir/Face 1A. William Byrne-Clarke has no direct connection himself with Athboy but he is included here because his wife was living here when her husband was killed in France. William was born in Ballycastle, Co Mayo in 1882. His father was a sun-constable in the RIC and his brother, L. J. Clarke, was an RIC Sergeant, stationed at Urlingford, Co Kilkenny. William joined the Inniskilling Dragoons in 1910 and was stationed in India. He married Gertrude Ogg, daughter of W. Ogg (presumably a military family) in Dhurrumshallah, Bengal, India, on Nov 12th 1913. At the outbreak of WW1, William volunteered to travel with the Inniskillings to France. He was killed in action on Jun 28th 1916. Gertrude, William’s widow, and their young son, lived at Martinstown, Athboy while her husband was away at war. While the family connection has not been absolutely verified, it seem likely that Gertrude was closely related to James Ogg who was Manager of Kirkpatrick’s Sawmill in Athboy at this time, having transferred to Athboy from another Kirkpatrick sawmill in Donerail in Cork. “Dear Mrs Clarke – I am awfully sorry to have to write to say that your husband has been killed. You would like to know, I think, that he died a hero. He was slightly wounded trying to save his Captain, but finding that he was dead, he went over to try and save his Lieutenant who was some distance away. Unfortunately, he was killed just as he got there. Please accept my sincere sympathy for your great loss. Your husband was my platoon sergeant and by his death I have lost a great soldier and a gallant friend. He was adored by the men and they would follow him anywhere. Would it be asking too much if I asked you to send me a photo of him? I should like one very much if you could send one. All the Officers in my company join with me in my deep regret at his death. He died a hero and a gentleman. 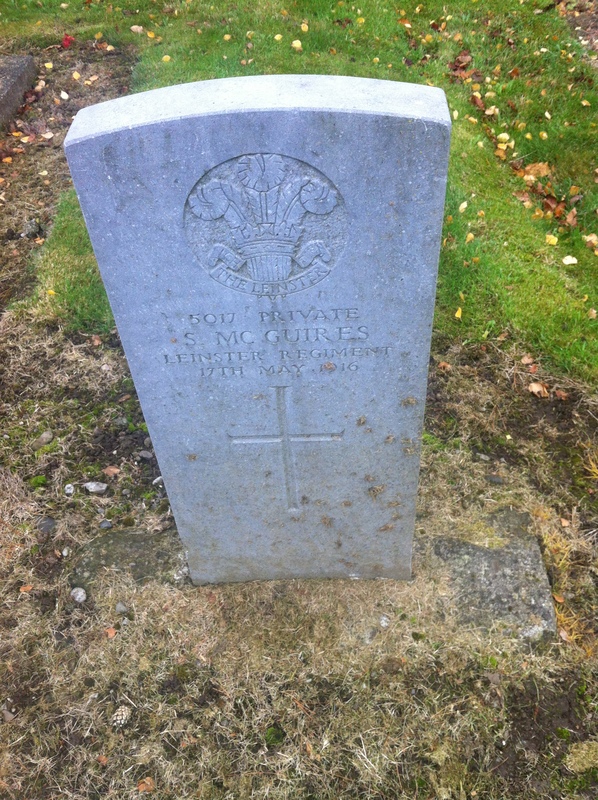 McGUIRES, STEPHEN (or MAGUIRE): Private 5017, 5th Battalion, Leinster Regiment. Died at Naas, Co Kildare on May 17th 1916. Buried at St. Corban’s Cemetery, Naas. Stephen McGuires/Maguire (spelling varies depending on record) was born on Jan 6th 1897 at Straffan, Co Kildare. His father, James, was a herd. Sometime before the start of WW1 the family moved to Ballyboy, Athboy, where James probably worked for B.W. Parr. When Stephen enlisted in the Leinster Regiment he gave his home address as Ballyboy, Athboy. Pvt Stephen McGuires was recorded as “disabled” on Apr 22nd 1916 and returned home. He died from pulmonary tuberculosis in the hospital wing of Naas Workhouse on May 17th 1916 and was buried at St. Corban’s Cemetery, Naas. William Armstrong was born in Oldcastle, son of William and Kate Armstrong of Lower Fennor, Oldcastle. William enlisted in the Royal Inniskilling Fusiliers and was a full time soldier from before 1910, in which year he married Mary Newman from Athboy. William and Mary married in the Church of St. Andrew in Dublin, William’s occupation given simply as “Army”. Mary was the daughter of Edward Newman and Bridget (nee Cummiskey) of Martinstown or Knockshangan. At the time of William’s death in 1917 Mary’s address was 50 Townsend Street, Dublin. Richard Gaffney was from Collinstown, Co Westmeath and prior to the war he worked for Byrne’s Druggist, Athboy. He was just 21 years old when he was killed in action on the Flanders battlefields. McCOMBE, CHARLES HENRY ALBERT : Private 434797, 31st Battalion, Alberta Regiment, Canadian Imperial Force. Killed in action Sept 15th 1916. Commemorated on the Vimy Memorial. Charles Henry Albert McCombe, (known as Albert) was born in Mountrath, Co Laois in 1882. His parents were both school teachers. In the 1901 Census, and again in the 1911 Census, both Albert and his brother William, are working as shop assistants in Donadea, Co Kildare. Shortly after this Albert emigrated to Canada where he joined the army during WW1. At the time of enlistment, Albert gave his next of kin as John McCombe (his father) who resided at Agency House, Athboy (now the Darnley Hotel). John by this time was retired from his school teaching profession and may have been working in the Agency Office of Lord Darnley. Albert McCombe was wounded on June 15th 1916 but recovered to rejoin his comrades. He was killed in action at the Vimy Ridge just a few weeks later. 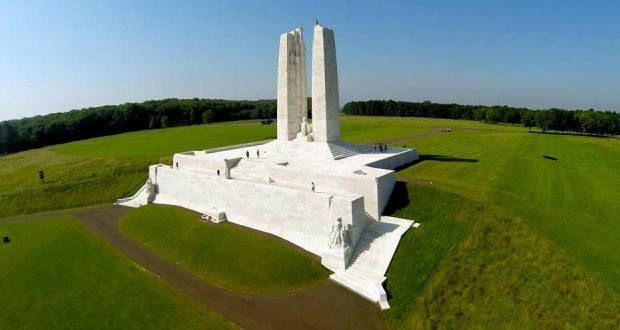 His body was not recovered from the battlefield but he is commemorated on the Vimy Memorial. James Neill was born c1882, the son of Thomas and Jane Neill of Baskinagh, Athboy. Some time after 1911 James emigrated to Australia where he enlisted in the 46 Infantry Battalion of the Australian Imperial Force on May 1st 1916. He embarked for France on Nov 17th 1916. He was killed in action on Sept 29th 1917 near Ypres in Belgium and as his body was not recovered from the battlefield he is commemorated on the Menin Gate Memorial in Yrpes. Note : James is incorrectly named as “O’Neill” in some of his military records – a mistake which caused some confusion at the time. Matthew Mahon was born at Coolronan, Athboy on Nov 12th 1888, son of John Mahon and Mary (nee Duffy). He was married to Kate (maiden name unknown) and they lived at 11 Lr Abbey Street, Dublin. He enlisted in the Irish Guards and was killed in action on March 23rd 1918. As his body was not recovered from the battlefield he is commemorated on the Arras Memorial.